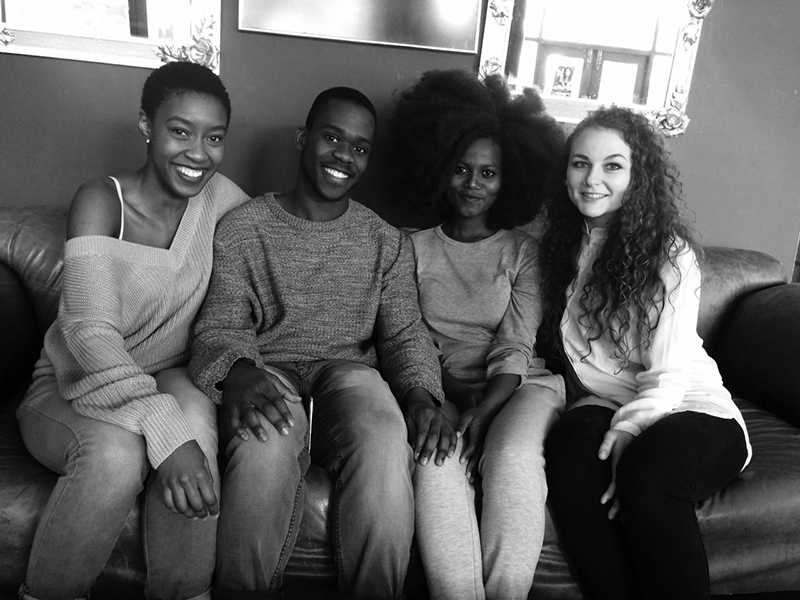 You are at:Home»ARTS & LIFE»Starring… Rhodes Young Directors! 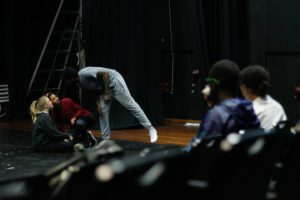 Rhodes’ Drama Department is buzzing with creativity and life this week. 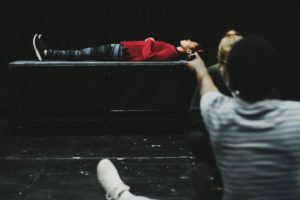 Directors are moulding their visions, performers are breathing life into the spaces there, and backstage crews are building the world of four exciting theatre works. Coming up this week is the Honours Young Directors’ Season and there are a range of stories to pick from. Opening the Season, following Women’s Day and the Silent Protests, Nndivhaleni Netshiavela’s offering Eclipsed is a pertinent and poignant choice. Danai Gurira’s Tony-nominated play unfolds during the second Liberian Civil War. Highlighting the tensions of war, the piece is layered upon a force that drives the women of the piece: survival. Living as the hostage ‘wives’ of one of the rebel groups’ Commanding Officers, the relationships of these women are exposed to us when a young girl joins them as the new wife. It is a story of sharing and love, and all the warmth and difficulty of a common struggle. A Day in the Death of Joe Egg is Amy Annear’s chosen work. Written in 1967 by Peter Nichols, the piece is an invitation to the lives of Brian, Shiela and Josephine. Brian and Shiela are the parents of Josephine who suffers from cerebral palsy, a condition that affects movement and bodily autonomy. This “dark comedy” follows their attempts to keep their marriage intact whilst caring for their daughter. Mlondiwethu Dubazane’s reconstruction of Brink Scholtz and Andrew Buckland’s The Swimming Lesson, ponders a yearning for memories and opportunities possibly lost. A remake of the 2009 Ubom! Theatre Company production, it is the story of Phyllis’s search for these things. A search that finds her drifting back and forth between what used to be and what is. Written by Suzan-Lori Parks, and directed by Mmatumisang Motsisi, In the Blood is the story of Hester and her struggle to raise her five children without their fathers. Working as a “woman of the street”, she tries to provide the opportunity of a better life for her children. Hester’s narrative is one that reflects a body of issues, like her family’s extreme poverty, that should, but often fail to be prioritized. Certainly, its description as “a powerful commentary on how society fails the poor and powerless”, is correct. This year’s YDS season epitomizes the best of creativity. The directors are a diverse group, each with unique style and drive in their work. Yet their collective offering is a reflection on societies, and the issues that face them. Above all, it is a reflection on people.